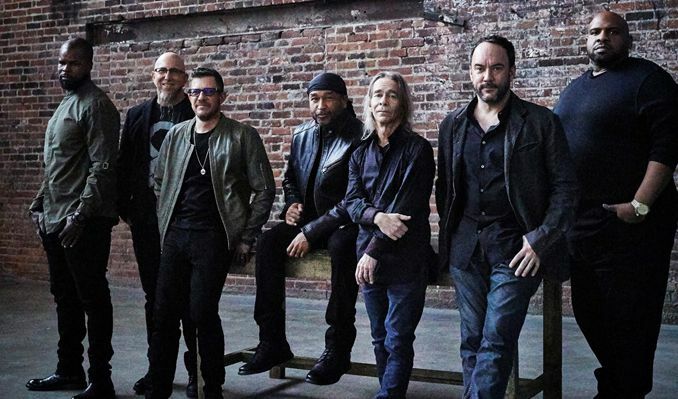 The Dave Matthews Band formed in Charlottesville, Virginia, in early 1991, when vocalist/guitarist Dave Matthews decided to put some songs he had written on tape. Instead of simply recording himself with a guitar, he opted to bring in some instrumental help to give his musical ideas more depth. Dave found assistance in drummer Carter Beauford and saxophonist LeRoi Moore, who were both accomplished jazz musicians in the local Charlottesville music scene. Based on the recommendation of distinguished local jazz guru John D'earth, 16-year-old musical prodigy Stefan Lessard came on board to play bass. Completing the band was keyboard player Peter Griesar, who left the band after a couple of years, as well as the talented and classically trained violinist, Boyd Tinsley. On November 9, 1993, DMB released its first album, Remember Two Things, on its Bama Rags label. The album was recorded live at The Muse Music Club on Nantucket Island, in August of 1993. The album debuted on College charts as the highest independent entry, and went on to be certified gold by the RIAA -- a significant accomplishment for an independent album. Meanwhile, the band kept touring and its fan base continued to grow. By allowing fans to tape shows for their personal use, DMB created a highly interactive community that continues in spirit today. A high point in DMB's career occurred on July 7-8, 2006 when the band performed back-to-back nights in historic Fenway Park with Sheryl Crow performing as support both evenings. Due to feedback and a high demand from fans, within weeks, the Fenway Park concerts were offered as Live Trax volume 6. 2006 was another year chock full of releases! In addition to the rush release of the Fenway Park shows, a show from 1995 and 1996 were pulled out of the vaults based on requests from fans to release older shows in the Live Trax series. Live Trax 5: 8.23.1995 Meadow Brook Music Festival, Rochester Hills, MI Live Trax 6: 7.7 - 7.8.2006 Fenway Park, Boston, MA Live Trax 7: 12.31.1996 Hampton Coliseum, Hampton, VA DMB will be doing some globe trekking in 2007 with a return trip to Australia planned as well as a European tour.